Note: I am a substitute teacher who works part-time in Monongalia and Preston counties. I’m also writing a book about the recent shooting at Marjory Stoneman Douglas High School in Florida. This book will look at our culture and the state of failing education—and examine what contributes to such tragedies, while exploring how we can stop them. In spite of the fact that West Virginia teachers are at the bottom of the barrel—their salaries rank 48th out of 50 states—the two-day, #55strong walkout was never about money. 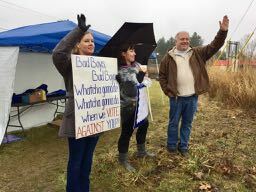 Whatever you call it, at the heart of the matter, the real reason West Virginia teachers stood outside being battered by yesterday’s rain is because they care about your children. After interviewing Preston County teachers, I’ve summed up five reasons every public school in the state remains closed today. 5)	And finally, since they felt forced to abandon their classrooms to protest the broken promises of legislators, they want more money. Let’s look at these issues one by one, beginning with the problem of keeping qualified, experienced teachers in the classroom. RIF stands for reduction in force. Currently, teachers are riffed (transferred) or laid off based on seniority. “When transfers or cutbacks happen, administrators must begin with the newest, least qualified teachers,” Sisler said. But a bill legislators are looking at this session would eliminate seniority, making older, more experienced teachers eligible for transfer, or layoffs. In other words, a school that is failing financially might look at getting rid of a more experienced teacher as a solution to money woes. Which leads us to the second reason teachers walked out. When teachers in border counties like Preston and Monongalia cross state lines for better benefits and pay, West Virginia’s children are the clear losers. Why? Because fleeing teachers removes consistency and continuity from the classroom. It is a fact that insecurity makes for a poor learning environment, meaning insecure children struggle to learn as well as their more stable peers do. When kids are stressed about getting to know yet another new classroom teacher, this diminishes the energy they should spend on learning. The same holds true of children in classrooms where the teachers aren’t qualified to teach. In fact, many substitute teachers who enter West Virginia classrooms each day lack an educational degree, or even the required certification, to teach topics such as science or special education. “We have 700 jobs in this state right now that are . . . unfilled, because we don’t have certified people to do them because they’re going elsewhere,” Brian Bailey, who taught special education for 21 years, said. In part, the large number of open positions is due to not having competitive pay and now, as Sisler said, “not having great benefits, either.” There’s another problem: legislators are currently trying “to loosen the requirements for teaching qualifications, to where anybody could teach.” While this will “also impact students . . It’s almost treating us as a pseudo-profession,” she added. The emotional cost of inconsistency is also taking a toll on students. Jenkins has seen this repeatedly. She, like her fellow educators, has seen classrooms with three or four teachers over the course of a year. When those teachers leave, to take better jobs elsewhere, students suffer. And the problem of teaching without a roadmap is only exacerbated when teachers are unqualified. “If you have multiple subs in multiple areas (of academics), you have a consistency issue. That’s a problem, especially if the sub is not well versed in the content area they’re filling in for,” Bailey said. Because regular teachers know a sub is rarely trained for a specific class he’s teaching on any given day, other teachers will step in and try to help. It’s a common occurrence for teachers to drop by classrooms before, or even during class, and offer advice or assistance to sub teachers. They also warn students, who are known for giving subs a hard time, about the need to behave. This inconsistency is one matter teachers have learned to live with—even though they don’t like it. But when it comes to paying costly health care premiums, their collective foots are squarely on the picket line. 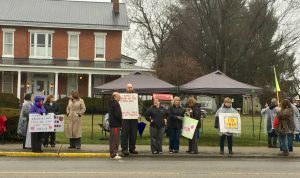 When teachers see their PEIA premiums increase from $261 to $571 a month and their deductibles rise from $250 to $1300 a year, all while their medical benefits are slashed, they say they don’t feel valued. A state entity, PEIA manages the health care needs of all public employees—including West Virginia State Police and West Virginia Department of Highway workers. “It’s the worst insurance around,” one state employee who is not a teacher told me. Just how bad is it? The above example showing premiums and deductibles is what Sisler said her family would personally pay—if state lawmakers hadn’t frozen PEIA. “So when they say (our) insurance is increasing, that’s not a clear picture as to what this means,” she added. So the public sector is not represented, leaving teachers and other state workers without a voice. It’s such a big problem that many Preston County teachers said they will only be satisfied once legislators “quit making us jump through all these hoops that no one else has to jump through, to keep our premium down,” Bailey said. 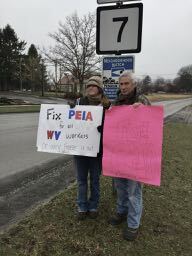 On top of the PEIA problem, teachers want to keep politicians from interfering with their labor unions—which they say is a real threat. Teachers say the “payroll protection act” (SB 335) now winding its way though the Legislature is a misnomer. Instead, it will attack teacher unions like the West Virginia Educational Association (WVEA) and American Federation for Teachers (AFT-West Virginia). Speaking of money, few teachers I interviewed even brought up the topic of wanting more. If they did, it was after airing the above laundry list of items they want fixed first. However, when they did mention money, it was to say that legislators have failed to keep their promise to give teachers more of it. As a result, West Virginia teachers simply can’t compete—not when teachers across state lines earn twice as much. Someone from Albert Gallatin School District stopped to talk to West Preston teachers yesterday. There, Sisler said, that school board member told a local teacher who is earning $40,000 a year here that she would make $80,000 there. 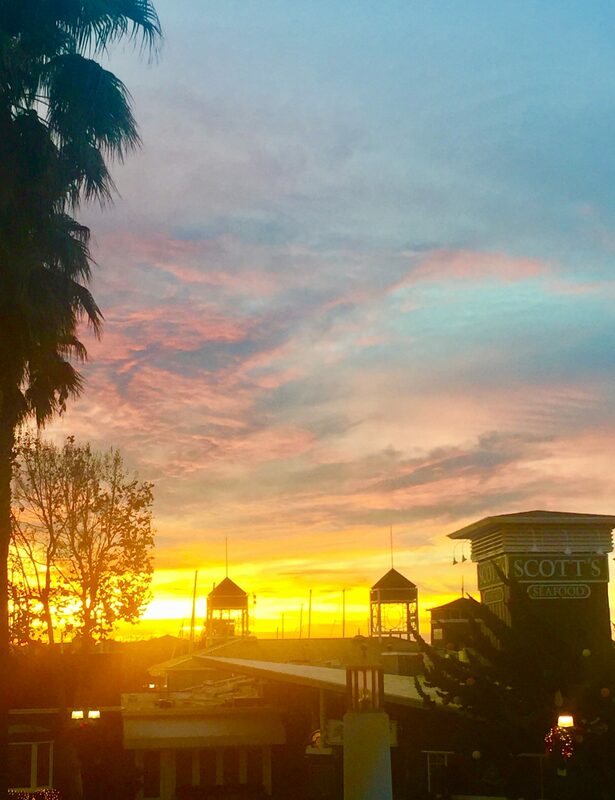 Being a border county means teachers don’t have to sell their homes or even relocate. They can just drive to Pennsylvania and Maryland for twice the salary. State officials say the average teacher here earns $45,622. When the national average is $58,353, that amount pales in comparison. But most West Virginia teachers, very experienced, certified teachers, don’t make anywhere near $45,622. Still, even with a master’s degree, 70-plus additional graduate hours, and 42 years in the school system, Hirst only made $58,000 a year when she retired. What would a master’s give him? “About $500 more (a month),” he said. And more student debt. And new college graduates were swayed, she added, since those states offered such perks as sign-on bonuses and reimbursement for moving expenses. Several teachers offered solutions for how to increase salaries. This year, proposed bills will put even more money into charter schools, home school vouchers, and education savings accounts. “Those things pull money from the public education funding,” Sisler said. I covered the 1990 teacher’s strike. Not every county took part, but 47 of 55 did, and it resulted in many teachers losing their jobs. However, like Tucker County, which fired all its teachers, they were soon rehired. (UPDATE: Several teachers said this happened in Tucker County, but then-vice president of the TCEA said Tucker teachers were not fired.) Why? Because, as teachers here are fond of saying, “they can’t find anybody to take our jobs.” This constant refrain is sometimes said with a laugh, other times in anger. What’s obvious, though, is that 30 years later, with only one pay raise since then, they are tired of the status quo. Which is why, more and more, that refrain comes with a weary expression of resignation. My seventh book, Shatter the Silence, a love story and the long-awaited sequel to my memoir was released May 2016. That’s on the heels of Tales of the Vintage Berry Wine Gang, a collection of my newspaper columns from 1988-91, which came out in April 2016. For an in-depth look at the damaging effects of the silence that surrounds abuse, please watch my live TEDx talk, given April 13, 2013, at Connecticut College. Have a great day and remember, it’s whatever you want to make it! This is an excellent article. However, I was TCEA Vice President in 1990 in Tucker County. None of us were fired. I just updated the article. Thank you for that information, Eileen. Thank you for your time and wonderful article. The article covered every issue I have observed and experienced in the world of teaching. Thank you once again for this publication. You’re welcome, Charlotte. It’s an important topic, and one that deserves attention.